Make sure to stay up to date with all the recent happenings! 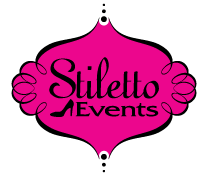 Follow us and recommend Stiletto to all your friends! We are not currently looking to fill any positions (including internships) for our 2017 wedding season. If you are interested in a position, please continue to check back regularly for possible opportunities. Do not send us resume information unless this section changes.